I've been meaning to do this for a while now. 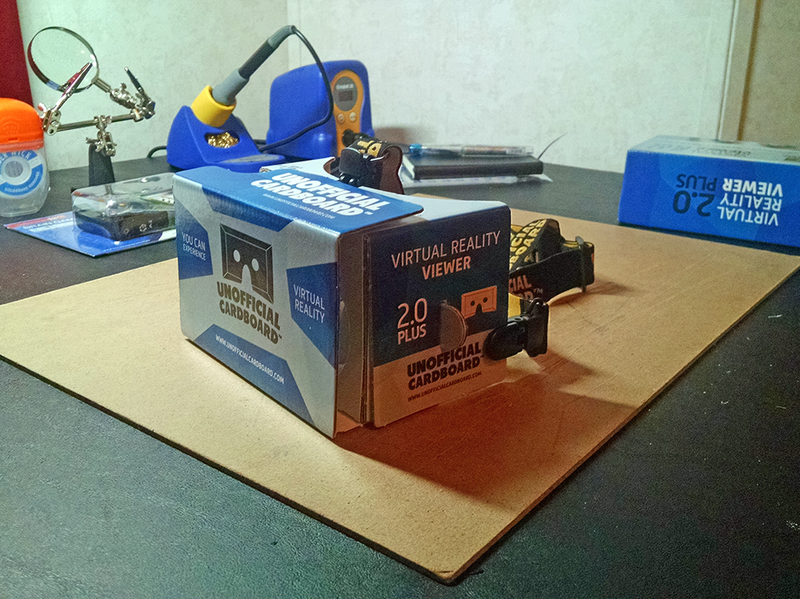 I finally picked up a Google Cardboard headset from Unofficial Cardboard. I thought I'd share my thoughts. First up, let me say that when it comes to quality chardboard construction, Unofficial Cardboard has done a nice job. The headsets are, for cardboard (and a few other small bits), very nicely made. You can trust me on this. I once took an entire university course on making things out of cardboard, wherein I constructed a giant set of load-bearing (up to 120lb) polyhedral dice. But What About That VR? I've been spoiled. I tried the Oculus Rift DK2 long before I tried Cardboard and, if I'm being honest, Google Cardboard is orders of magnitude less impressive than the Oculus from an immersive VR perspective. From a technical standpoint, it amused and excited me rather than wowed me. You have to look at it for what it is and not compare it to VR offerings 10-30x or more the cost. Of course it's going to pale in comparison to those. If it doesn't, then all of those other VR tech companies are doing it wrong. For something you could build at home with a pizza box and a little wire, or mass-produce for pennies and get into the hands of school kids, conference-goers, tourists, potential customers, and anyone else who already has a somewhat modern smartphone, Cardboard is pretty great. It provides a VR experience that's "good enough" for many use-cases and far, far superior to looking at still images, 2D video, or slides on a projector. It's also a lot more kid-friendly and kid accessible. As an educational tool, the possibilities are pretty limitless. Can you play games with it? Sure. You can play them and they'll be a different and fun experience. They'll certainly feel more immersive and engaging than holding the phone in your hand and thumbing aliens. But that's not where the Cardboard shines. The real difference is in the target demographics. People who want a high quality VR headset for gaming aren't going to be satisfied with Cardboard, but by the same token, the average person who wants to watch the occasional 360 video or virtual tour doesn't want or need to buy a high-priced headset. The school kid doing a history report doesn't need complicated head-tracking and high-powered optics when you can drop them into the Roman Collesseum for pennies, using technology their parents and their teachers (and often the students themselves) already have in their pockets. Google Cardboard needs to live in school and public libraries, in hospitals and nursing homes with bed-ridden patients, in your sales rep's briefcase, and in the average family's living room. I'm impressed with Google Cardboard - not for what it achieves technically, but for what it represents; a dead-simple, affordable way to bring an adquate virtual reality experience to everyone who has or has access to a smartphone.